The Motion Spiral Staircase features powder coated vertical spindles and a continuous grey PVC handrail. Available in three diameters (1200mm, 1400mm and 1600mm), the Motion Spiral Stair will suit most projects. You have a choice of three powder coated steel colours – Black, White and Grey, for all the steel work and the treads have neat grey non-slip tread mats for a cool urban look. 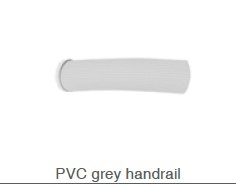 Please select your diameter and colour choices using the drop-down boxes below. N.B. 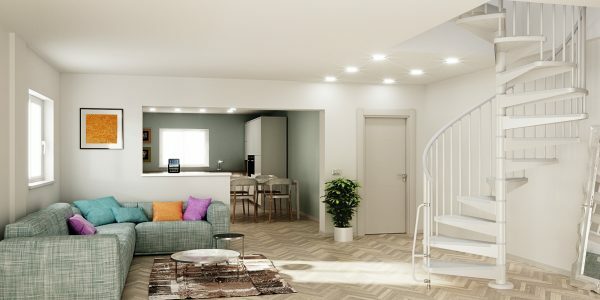 The Standard Kit will fit a finished floor to floor height of 2740mm to 2860mm (to UK Building Regulations) without needing any additional components. 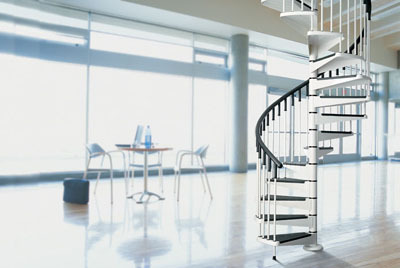 Lower or higher floor to floor heights may require additional components. Check on the Motion Components Sheet to make sure that you’ve got everything you need for your project. If in doubt, give us a call and we’d be happy to help. PLEASE NOTE: It is your responsibility to ensure that any Local Authority approvals necessary have been obtained. 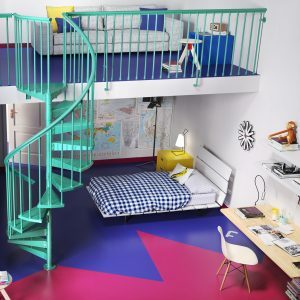 This will vary according to your application and we advise you to always check before going ahead with a purchase. 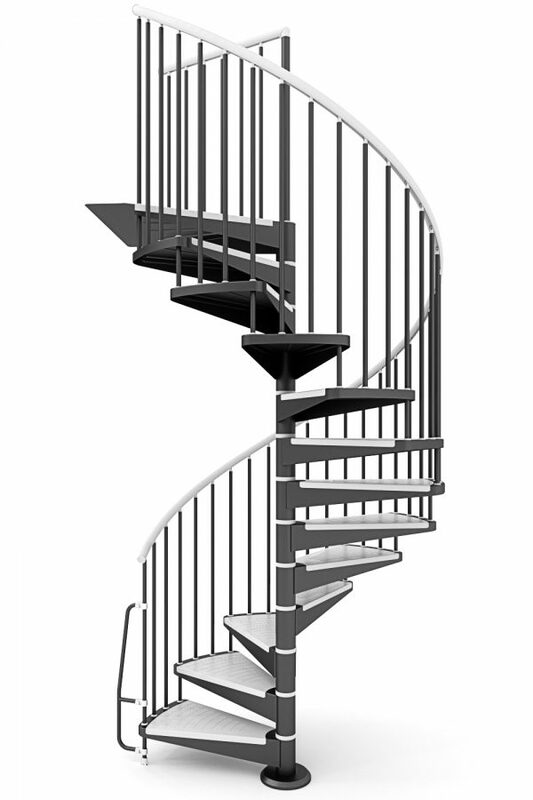 Fixing design details are in Grey for all the White, Black and Grey staircase colour options. 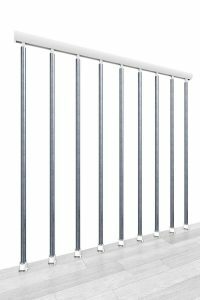 Matching stairwell balustrading is available for the Motion Spiral Staircase kit. 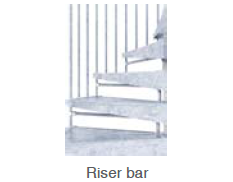 You’ll find more details on the Motion Accessories pages, together with other accessories such as additional treads, riser bar kits etc. 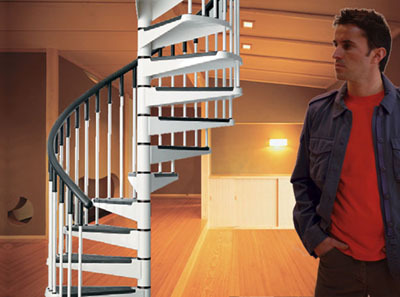 Download the Motion Spiral Stair Kit Instructions HERE. 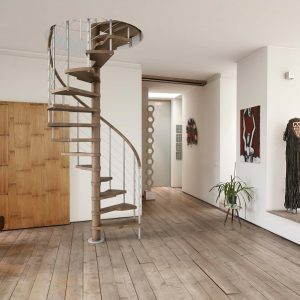 The Motion Spiral Stair can be installed with a clockwise or anti-clockwise rotation. You decide when you install it! This diagram shows the position of the landing and first treads on the standard kit with 13 treads. Motion Stairwell Openings – Click for larger image. 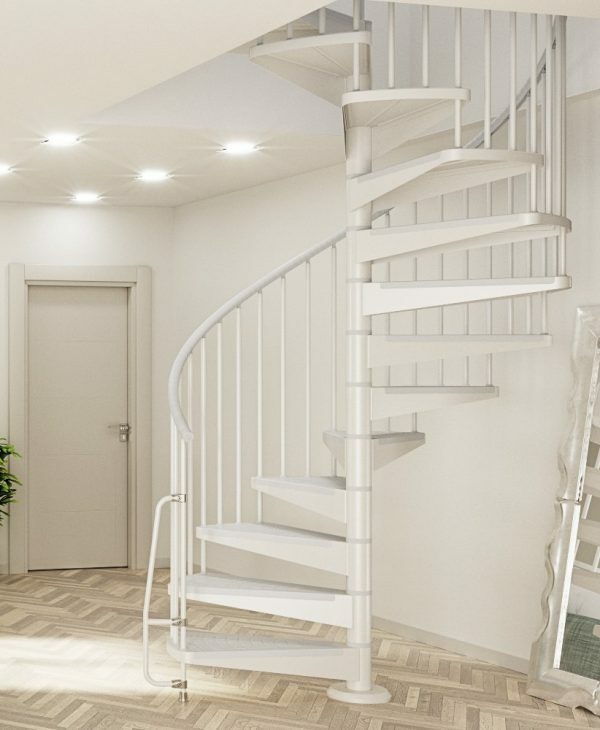 Whether you choose a round or square opening for your spiral staircase, the opening should be at least 100mm larger than the diameter of the stair, so that your hand can use the handrail safely as you pass through the ceiling opening. 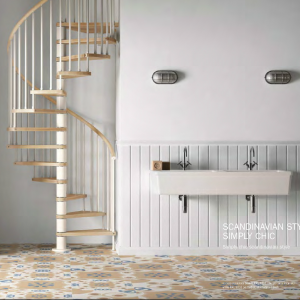 You’ll find further details on the Accessories pages. Browse through the Ehleva brochure to find more details of the Motion Spiral Staircase kit.